Super Duplex Steel UNS S31254 Fasteners, Super Duplex Steel UNS S31254 F44 Nuts, ASTM A182 Super Duplex Steel F44 S31254 Nuts, 254 SMO Super Duplex Steel 2-H Heavy Hex Nut Dealer, ASTM A479 Super Duplex Steel UNS S31254 Industrial Hex Nuts Stockists, 6 Moly S31254 Nuts, UNS S31254 Flange Nuts Suppliers, DIN 1.4547 Eye Nuts, 254 SMO® Nuts, Distributors of Super Duplex S31254 High Nuts, Alloy 254 Square Nuts in Mumbai, India. Super Duplex Stainless Steel Gr. 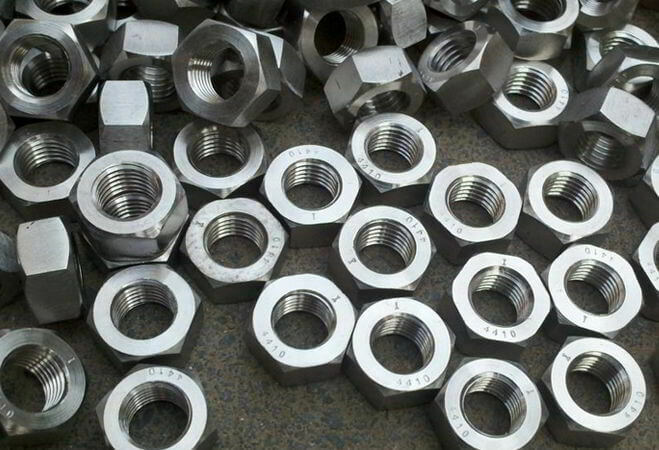 F44 S31254 Custom Nuts Manufacturer, Alloy 254 Nuts, ASME B18.2.2 Super Duplex Steel UNS S31254 2-Way Lock Nuts, ASME SA479 Super Duplex 254 SMO Jam Nuts Wholesaler, 6MO UNS S31254 Nuts, ASME SA182 Super Duplex Steel S31254 Machine Hex Nut, DIN 934 Super Austenic Steel UNS S31254 Nylon Insert Lock Nuts Exporters. 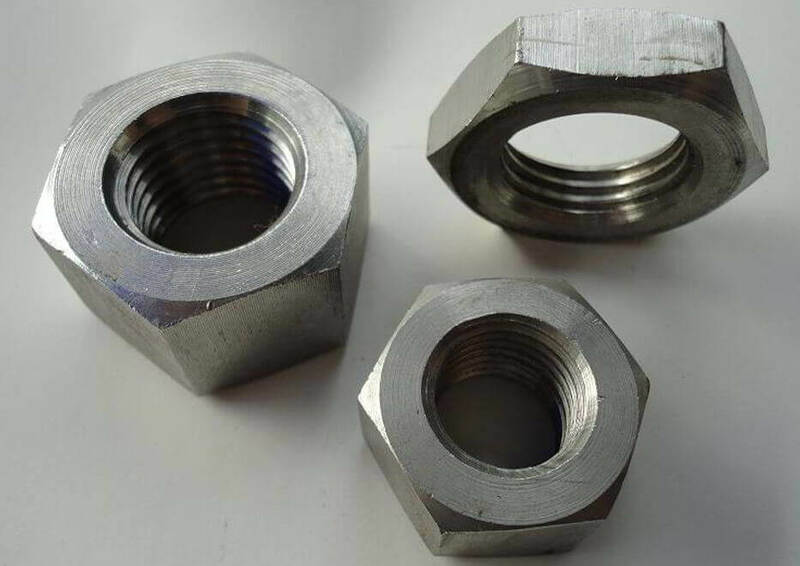 Renine Metalloys is a renowned manufacturer and exporter of Super Duplex Steel UNS S31254 Nuts, which Good thermal conductivity, Good stiffness, and Good electrical conductivity. 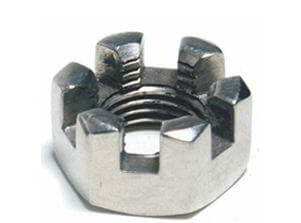 Our Super Duplex Steel UNS S31254 Hex Head Nuts have the same structure as the common 300 series alloys, but have higher levels of elements such as chromium, copper, nickel, molybdenum, and nitrogen. 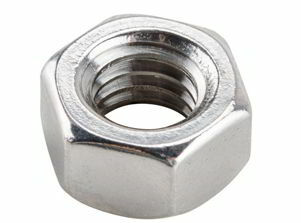 These Stainless Steel SMO 254 Square Nuts possesses a lower yield strength than that of duplex stainless steel (and much lower than that of super duplex steel) and pitting resistance which is comparable to super duplex stainless steel. 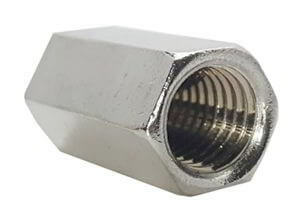 Our Super Duplex Steel F44 Lock Nuts are produced in most product forms and have a great use in seawater applications as well as steels which seem to have been used very little so far. 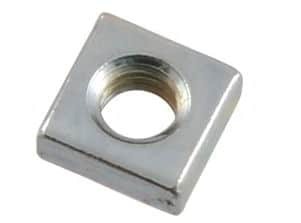 Reheat this Super Duplex Stainless Steel WNR 1.4547 Eye Nuts as often as necessary and cool in still air. 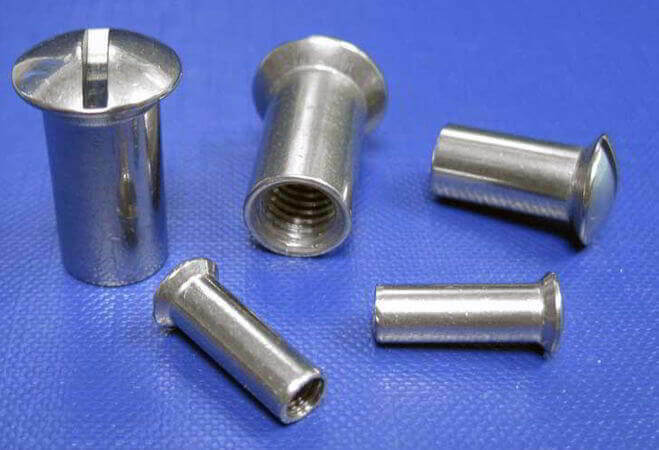 The high chromium and molybdenum content as well gives these Super Duplex Steel UNS S31254 Wing Nuts a high resistance to acids that could cause pitting and crevice corrosion. 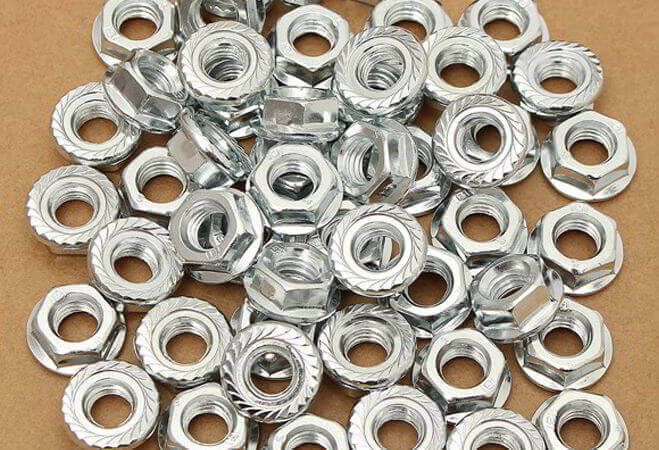 The delivery condition of our Stainless Steel 254 SMO Panel Nuts is either solution annealed and white pickled, or solution annealed in a bright annealing process. 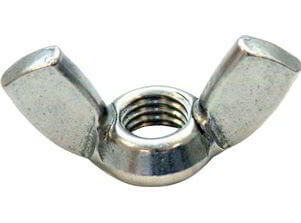 Coupled with Nickel and Copper gives these Super Duplex Stainless Steel F44 Coupling Nuts a good resistance to pitting and crevice corrosion, especially in environments containing halide ions, e.g. chloride, bromide and fluoride solutions. 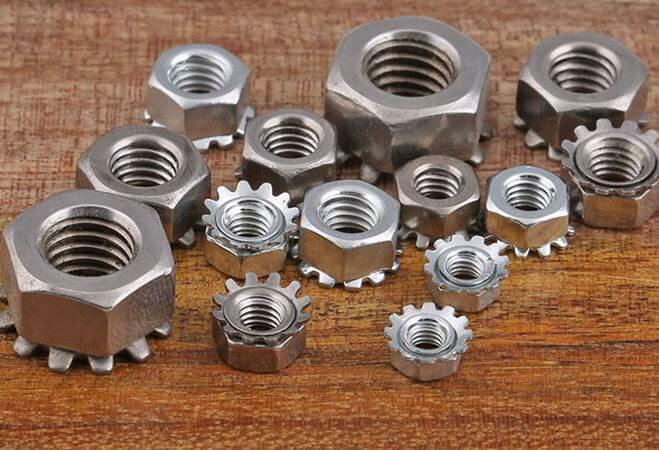 ASME B18.2.4.6M Super Duplex Steel UNS S31254 Long Nuts, 254 SMO UNS S31254 F44 Slotted Nuts Suppliers, Werkstoff No 1.4547 Nut, ASME SA182 Super Duplex Steel S31254 Sleeve Nut Traders, Super Duplex Steel UNS S31254 Heavy Hexagonal Nuts, Alloy 254 Super Duplex Wing Nuts, SA479 Super Duplex UNS S31254 F44 Weld Nut, 6% Molybdenum UNS S31254 F44 Nut, Super Duplex Steel S31254 F44 Cap Nuts Exporters. Super Duplex Steel UNS S31254 Fasteners, ASTM A182 Super Duplex Steel UNS S31254 F44 Nuts, Super Duplex Steel ASTM A479 UNS S31254 F44 Nuts, 6% Molybdenum S31254 Nuts, Super Austenic Steel UNS S31254 Nuts, Super Duplex Steel F44 Nuts, 254 SMO UNS S31254 Nuts, Super Duplex Steel Nuts Exporters, ASME SA479 UNS S31254 Super Duplex Steel K Lock Nuts, ASME SA182 Super Duplex Steel UNS S31254 F44 Custom Nuts, Super Duplex Steel S31254 T- Tee F44 Nuts, F44 UNS S31254 Super Duplex Stainless Steel Dome Nut, 254 SMO Super Duplex Steel UNS S31254 Flange Nut, Super Duplex Steel UNS S31254 Lock Nuts, UNS S31254 Industrial Nuts, Super Duplex Stainless Steel S31254 Weld Nuts, DIN 1.4547 Super Duplex Steel F44 Cage Nuts, 254 SMO Super Duplex Steel Allenuts, Super Duplex Steel UNS S31254 Cage Nuts, ASTM A182 / ASME SA182 UNS S31254 F44 Super Duplex Steel Spring Nuts, Werkstoff No 1.4547 Super Duplex Steel High Nuts, UNS S31254 Super Duplex Steel ACME Nuts, Super Duplex Steel S31254 Cap Nuts, Super Duplex F44 UNS S31254 Coil Nuts, Super Duplex Steel UNS S31254 Handle Nuts Exporter, S31254 Super Duplex Steel Hurricane Nuts, S31254 Super Duplex Heavy Hex Nuts Supplier, Super Duplex Steel 254 SMO ® Square Nuts, Super Duplex S31254 F44 Jam Nuts, Alloy 254 Slotted Hex Nuts, Super Duplex S31254 Kep Nuts, Super Duplex S31254 Sleeve Nuts Stockist, Super Duplex Steel UNS S31254 F44 Flex Lock Nuts, UNS S31254 F44 Pin Lock Nut, Super Duplex S31254 Flex Lock Nuts, UNS S31254 Super Duplex Steel Slotted Nut, Super Duplex UNS S31254 F44 High Nuts, Super Duplex Stainless Steel S31254 Cap Nuts, UNS S31254 Super Duplex Stainless Steel Castle Nuts Stockists, Super Duplex F44 UNS S31254 Hex Nuts Stockists, ASTM A182M Super Duplex Steel UNS S31254 F44 Auto Lock Nuts, Super Duplex 254 SMO Stainless Steel 2-H Heavy Hex Nuts Traders, Super Duplex Steel UNS S31254 Miscellaneous Nuts Dealer, Super Duplex Steel S31254 Nylon Insert Lock Nuts, Super Duplex Steel Grade F44 UNS S31254 Serrated Flange Nuts, Super Duplex Steel UNS S31254 Hexagonal Nuts, 254 SMO Super Duplex Steel UNS S31254 Flange Nuts Stockholder, Super Duplex Steel S31254 2-Way Lock Nuts, Supplier of High Quality Super Duplex Steel UNS S31254 F44 Coupling Nuts, Manufacturer of Super Duplex Steel UNS S31254 F44 Acorn Nuts Traders, Exporters of Super Duplex Steel UNS S31254 Slotted Nuts, Super Duplex Steel S31254 Machine Hex Nuts Dealer, Super Duplex UNS S31254 Panel Nuts Stockholders, UNS S31254 Super Duplex Steel Thin Nuts Wholesaler in India, UNS S31254 Super Duplex Steel Eye Nut Manufacturer, Distributors of Super Duplex Steel F44 UNS S31254 Rivet Nuts Stockholders, UNS S31254 DIN Standard Super Duplex Steel S31254 Nuts, ANSI Standard Super Duplex Steel UNS S31254 Nut, BS Standard Super Duplex S31254 Nuts, ISI Standard Super Duplex Steel UNS S31254 Nut, ISO Standard Super Duplex S31254 Nuts. Ranchi, Riyadh, Bhopal, Doha, Gurgaon, Singapore, Kuwait City, Ludhiana, Vadodara, Noida, Mumbai, Los Angeles, Karachi, Jakarta, Cairo, Surat, Secunderabad, Ho Chi Minh City, Ahvaz, Nashik, Thiruvananthapuram, Hanoi, Ahmedabad, Haryana, Coimbatore, Moscow, Kanpur, Caracas, Courbevoie, Atyrau, Aberdeen, Colombo, Milan, Geoje-si, London, Algiers, Vung Tau, Thane, La Victoria, Calgary, Howrah, Chandigarh, Baroda, Chennai, Al Jubail, Petaling Jaya, Rajkot, Port-of-Spain, Houston, Bogota, Dallas, Ulsan, Hong Kong, Brisbane, Pimpri-Chinchwad, Seoul, Rio de Janeiro, Busan, Perth, New Delhi, Jamshedpur, Faridabad, Granada, Abu Dhabi, Navi Mumbai, Hyderabad, Dammam, Toronto, Madrid, Santiago, Visakhapatnam, Chiyoda, Sharjah, Bengaluru, Tehran, Dubai, New York, Mexico City, Muscat, Kolkata, Lahore, Ernakulam, Bangkok, Nagpur, Australia, Pune, Al Khobar, Montreal, Indore, Turkey, Istanbul, Edmonton, Jaipur, Lagos, Sydney, Kuala Lumpur, Gimhae-si, Manama, Jeddah. Morocco, Lebanon, Namibia, South Africa, Tibet, Croatia, Ghana, Colombia, Norway, Czech Republic, Iran, Hungary, Argentina, Bahrain, Hong Kong, Costa Rica, Italy, Portugal, Philippines, Macau, Austria, Kuwait, Puerto Rico, Azerbaijan, Nigeria, Bolivia, South Korea, Nepal, Greece, Belgium, Sri Lanka, Afghanistan, Romania, Gambia, United Kingdom, Denmark, Estonia, Iran, Qatar, Zimbabwe, Venezuela, Gabon, India, Mexico, brazil, Japan, Canada, Finland, Taiwan, Bulgaria, Kazakhstan, Oman, Serbia, Australia, cyprus, Ecuador, Slovakia, Algeria, New Zealand, Nigeria, Brazil, China, Bangladesh, Belarus, Chile, Indonesia, Poland, Turkey, Mongolia, Peru, Bhutan, Singapore, Chile, Switzerland, Spain, Sweden, Lithuania, Vietnam, Jordan, Libya, mexico, srilanka, thailand, malaysia, Poland, Ukraine, Saudi Arabia, Russia, Malaysia, Ireland, Israel, Netherlands, Germany, Egypt, Yemen, France, Kenya, Trinidad & Tobago,Tunisia, Mexico, United States, Thailand, United Arab Emirates.